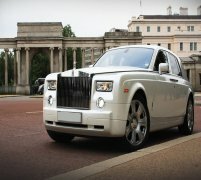 The Rolls Royce Phantom is perhaps the most popular model of Rolls Royce to date. 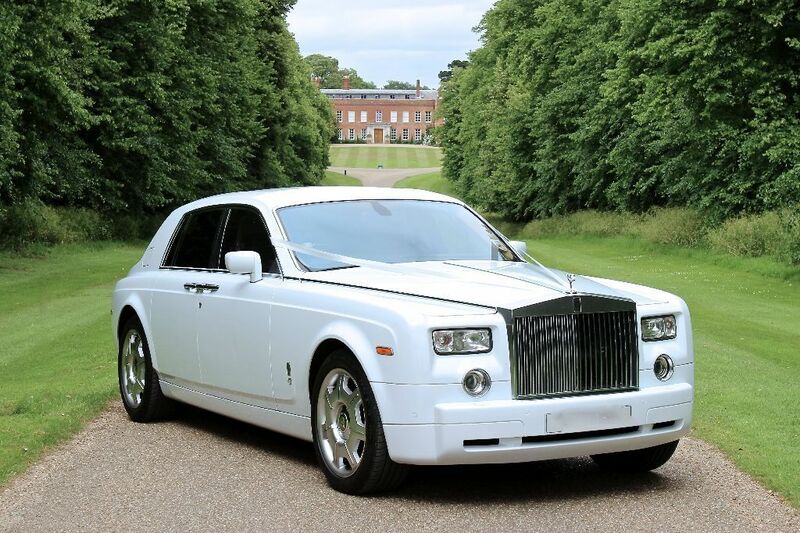 It is renowned the world over for its luxury and style and, in this stunning clean paint job, the white Rolls Royce Phantom looks the part more than ever for your wedding car hire service from Limo Hire. These vehicles are very much designed with the passenger in mind, making them perfect to relax in as you arrive at your wedding venue in the height of style and beauty. The elegant white paint job really makes the White Rolls Royce Phantom Limo Car Hire stand out and really looks at home at a wedding ceremony. We even decorate this beautiful vehicle in lavish ribbons and bows, and provide complimentary champagne on board so you can have the ultimate luxurious wedding car hire experience with your white Rolls Royce Phantom wedding car hire package from the wedding experts here at Limo Hire. Feel free to check out the interior videos of the Rolls Royce Phantom. This video should give you an idea of how the car will feel on the inside. 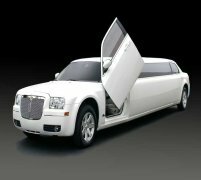 LIMOUSINE, HUMMERS, PARTY BUS, ROLLS ROYCE PHANTOM, BENTLEY, WEDDING CARS - Get the best price with Limo Hire. Welcome to Limo Hire! Your portal to the UK's biggest and best stretched limo hire services in the country! Whether you need a H2 Hummer Limo Hire or a Wedding Car. Enter your email address to get the latest Limo Hire news, special events and student activities delivered right to your inbox.